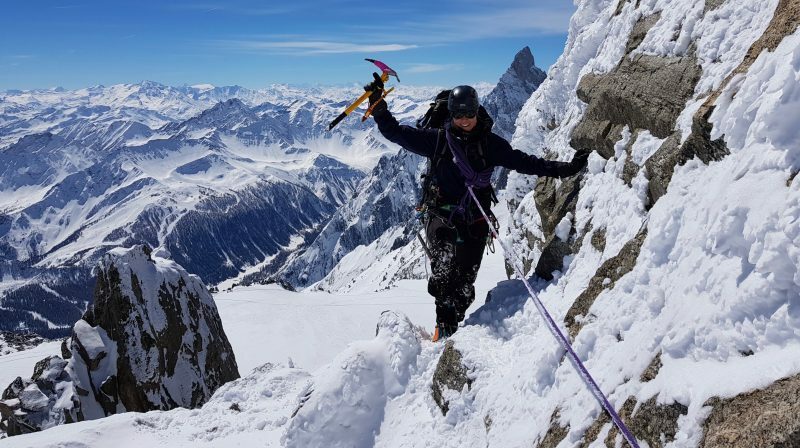 The major snowfall that started on Wednesday afternoon and continued for around 24 hrs left well over half a metre of fresh snow at 1800m – and a lot more higher up around Chamonix and the Mont Blanc Massif. 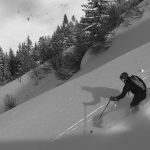 Thursday was a good powder day for those out on the slopes where you could see something – in the trees at the Grands Montets and even Les Houches was in good fun powder skiing conditions as the temperatures remained cool and the rain snow limit was around 500m. 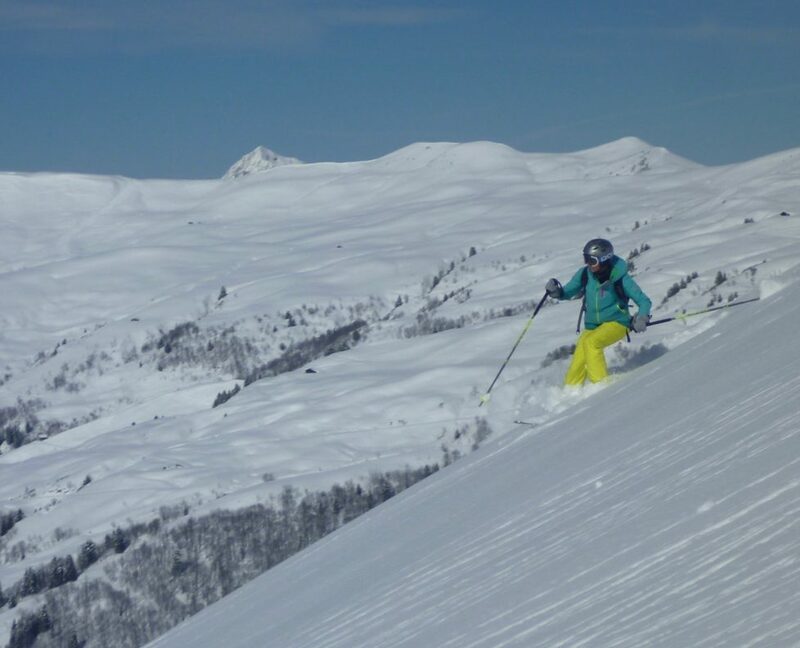 A little return to winter! 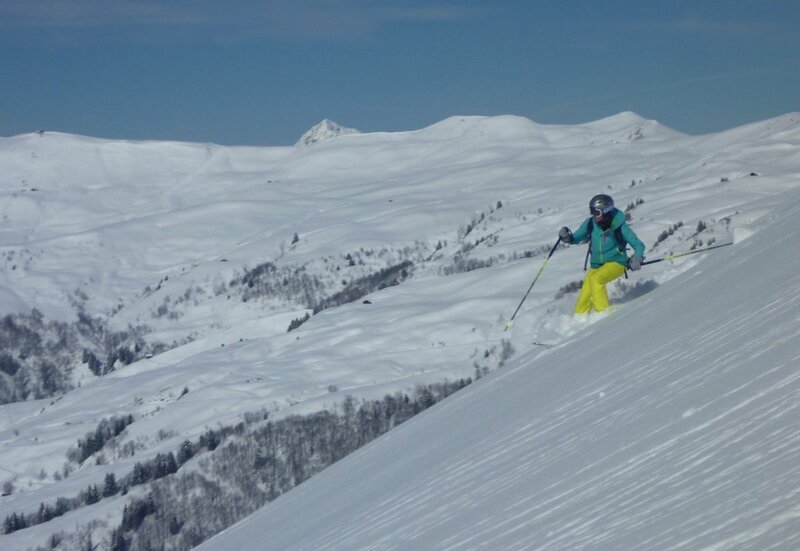 Today the sun came out but temperatures remained cool this morning with great light powder even on the sunny side of Les Contamines and plenty of teams enjoying good skiing even on the South Faces until things got heavier later in the morning. 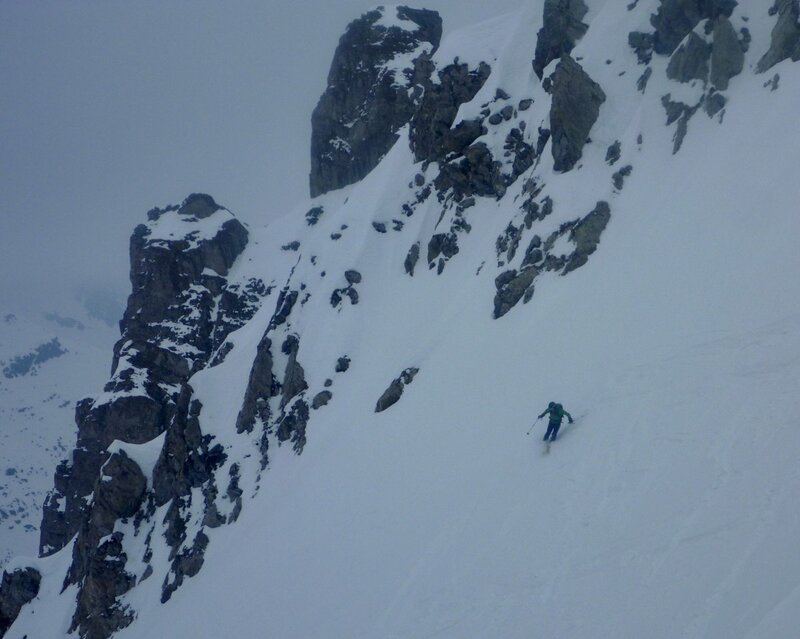 Lots of tracks off the Aiguilles Croches down the sunny side towards Hauteluce and the Col Joly and plenty of teams carving out fresh tracks all around the resort as the visibility was excellent and snow staying light in the shade and higher up. 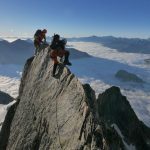 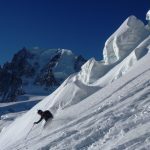 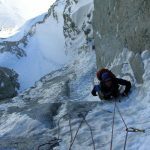 A few teams were also booting up the NW ridge of the Aiguille de Roselette and skiing the steep couloir and face lines on the North Face above the Buche Croisée chair lift. 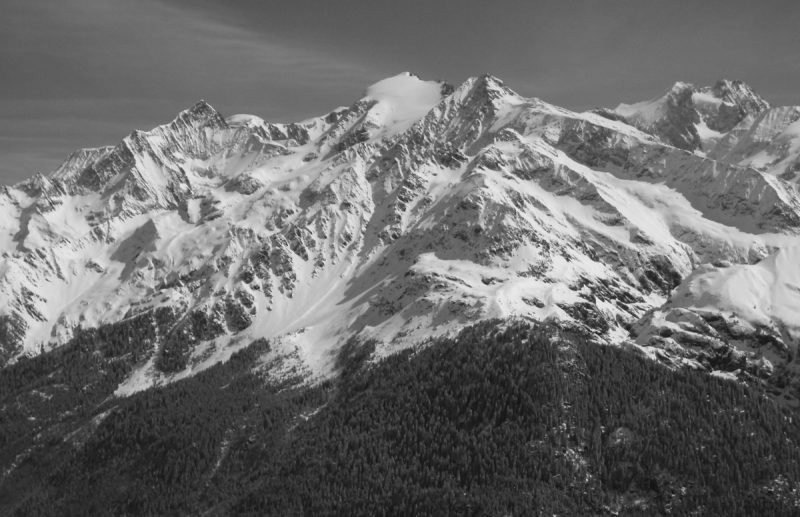 The West Side of the Mont Blanc Massif from Les Contamines Ski Area – with the super Glacier d’Armancette on the West Face of Les Domes de Miage in the centre. 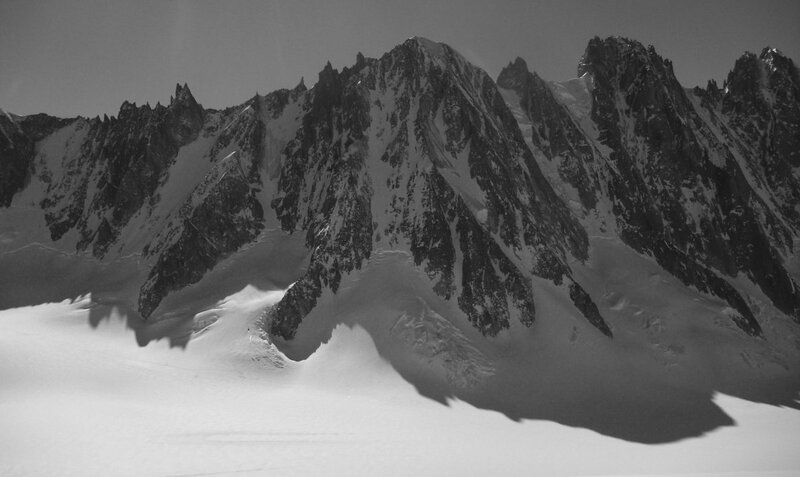 Mont Blanc summit just to the left of that behind. 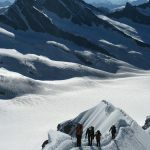 The West side of the Mont Blanc Massif looked pretty impressive in it’s gleaming white coat – and there was lots of good skiing to be had – although the avalanche hazard went to category 4 as things warmed up this afternoon. 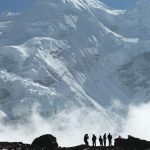 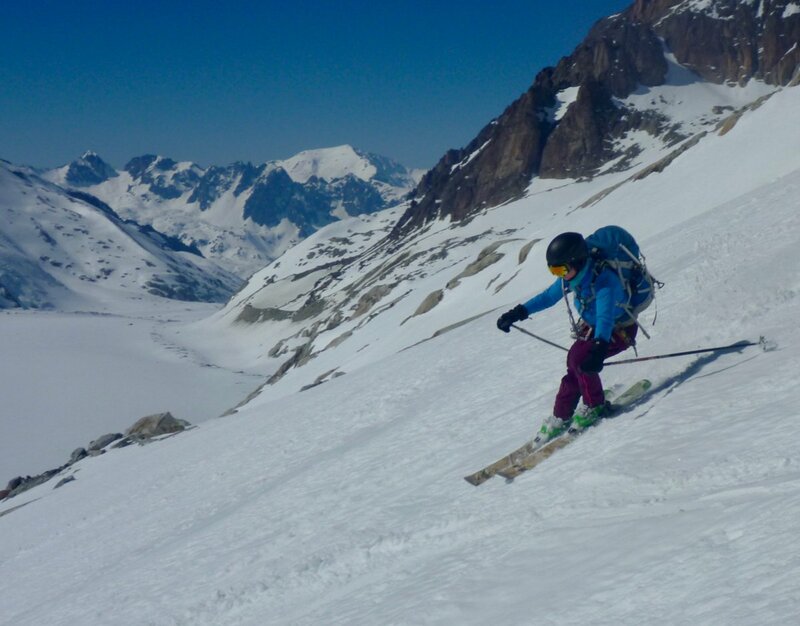 The picture shows the fine new white coat on the Glacier d’Armancette, centre, the big glacier descent from the Domes de Miage down in to the Contamines Valley. 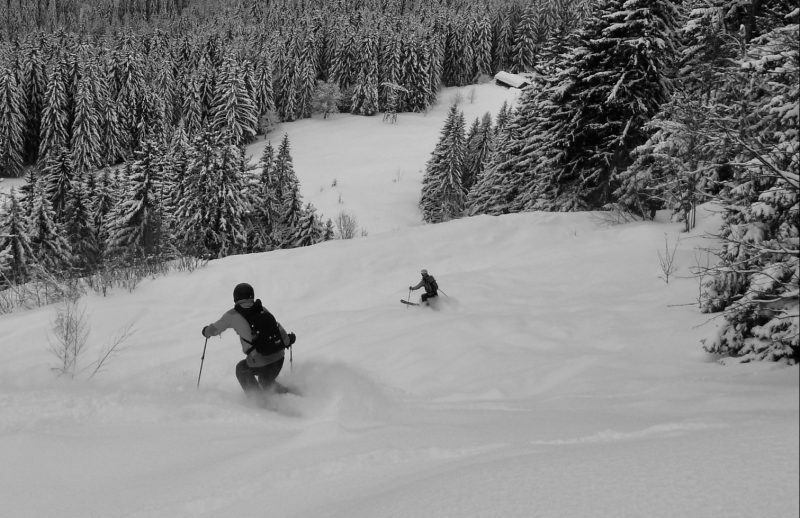 This had plenty of descents prior to the storm and should be in good condition again once this fresh snow settles down. 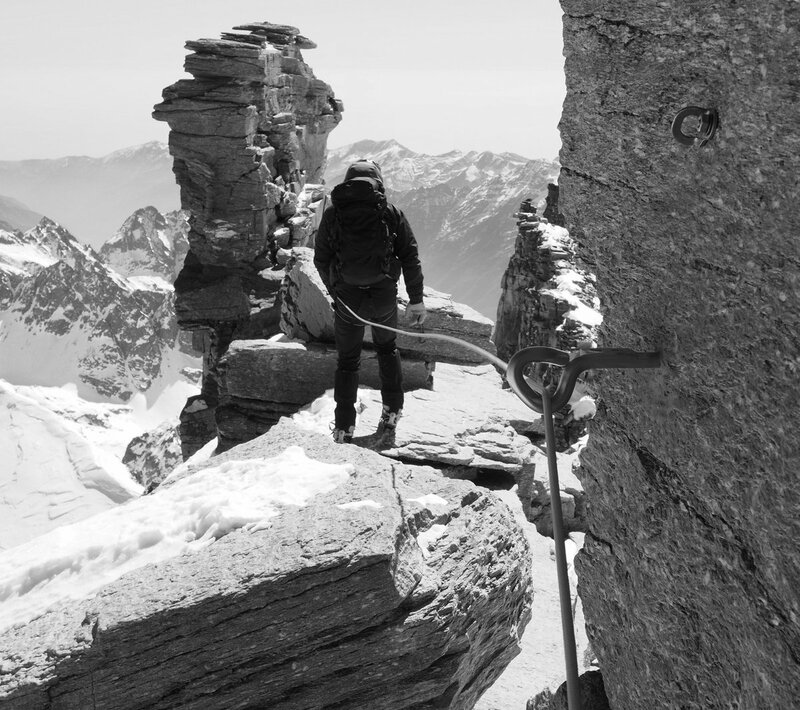 Old Photo – High on the descent from the Domes de Miage to Contamines. 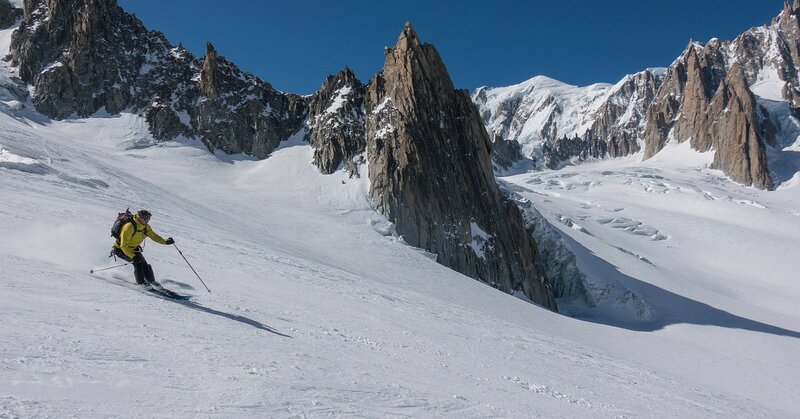 The famous Glacier d’Armancette…Just about where it starts to get pretty steep! 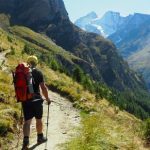 The Arve Valley nearly 3000m below! 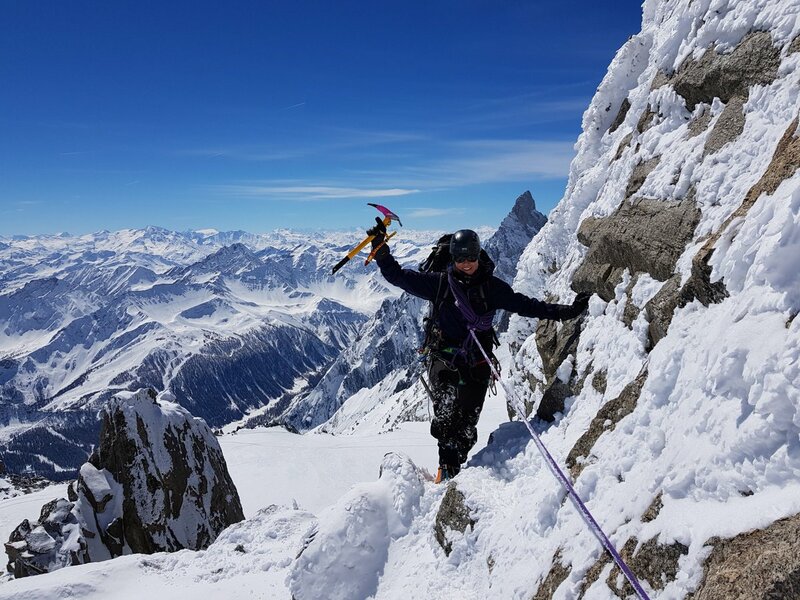 Marina & Robin had another good tough mountaineering day on our Chamonix Denali Expedition Training Course. 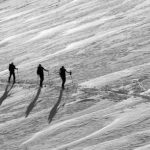 They broke trail in deep fresh snow round to complete the traverse of the Aiguilles Marbrees in good style. 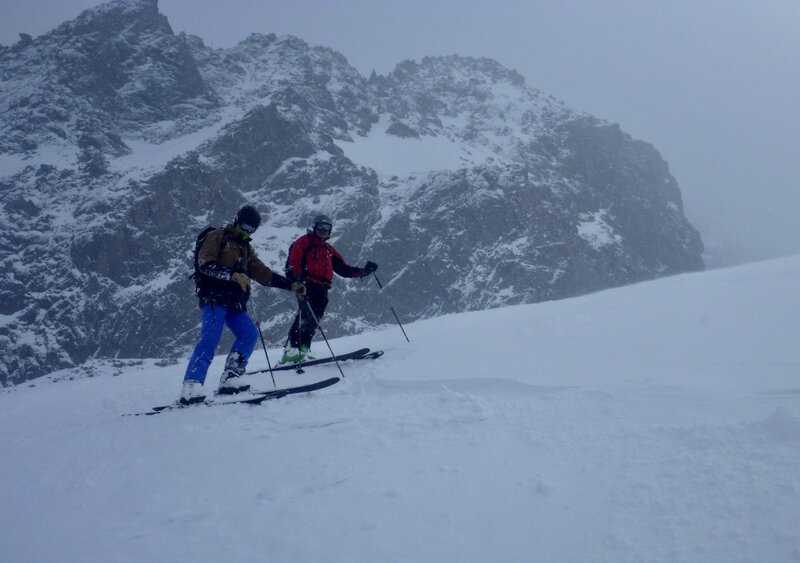 No track and lots of unconsolidated snow made for hard work – and good training! 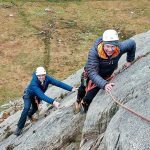 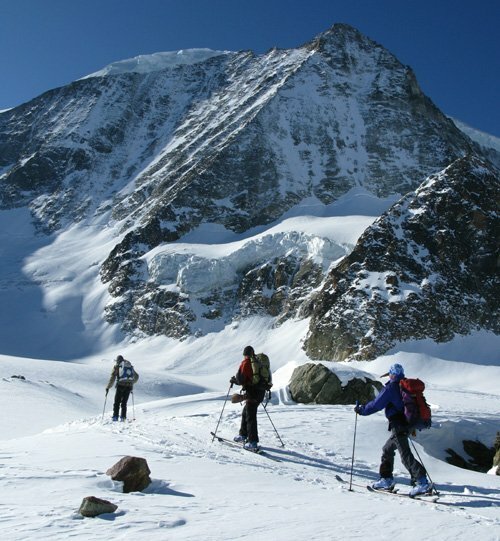 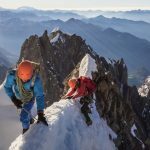 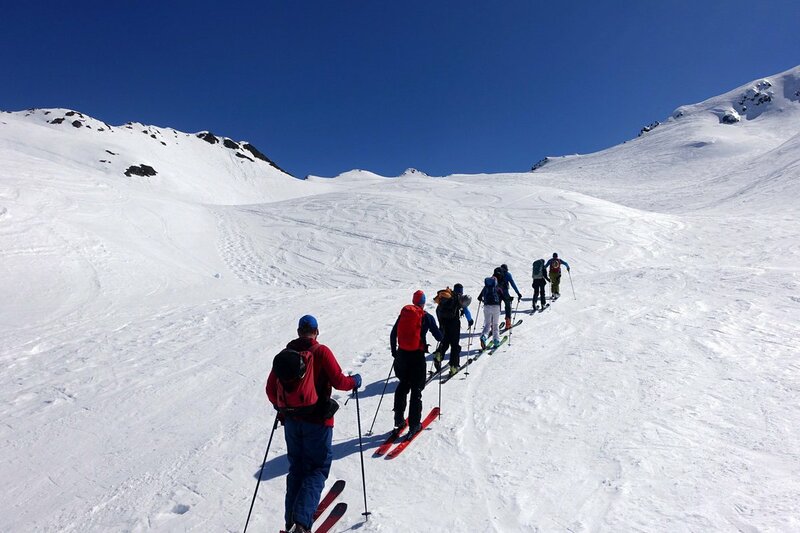 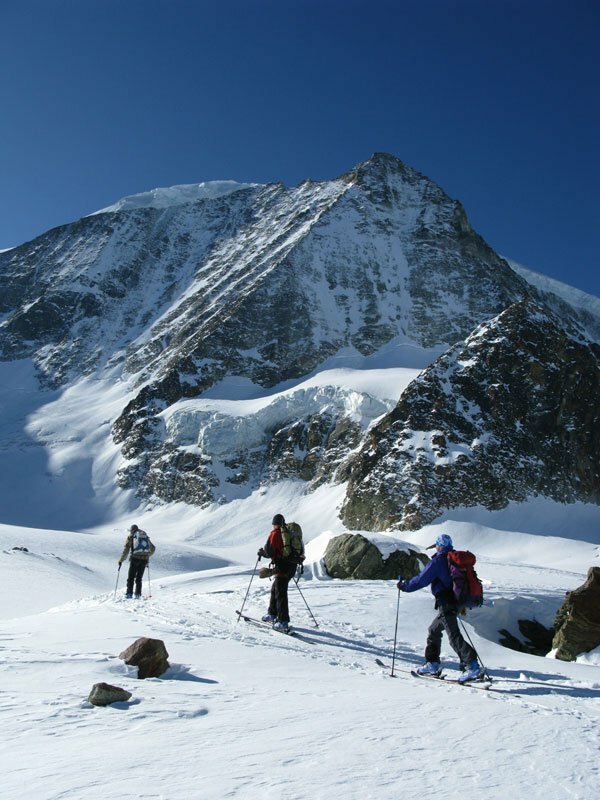 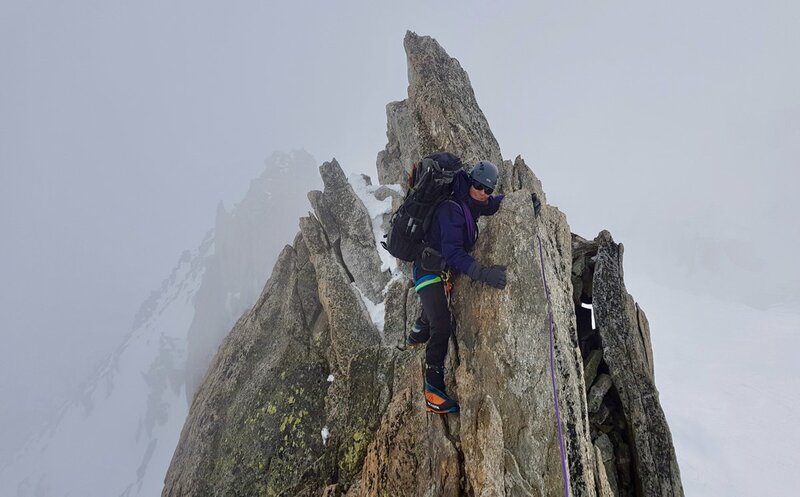 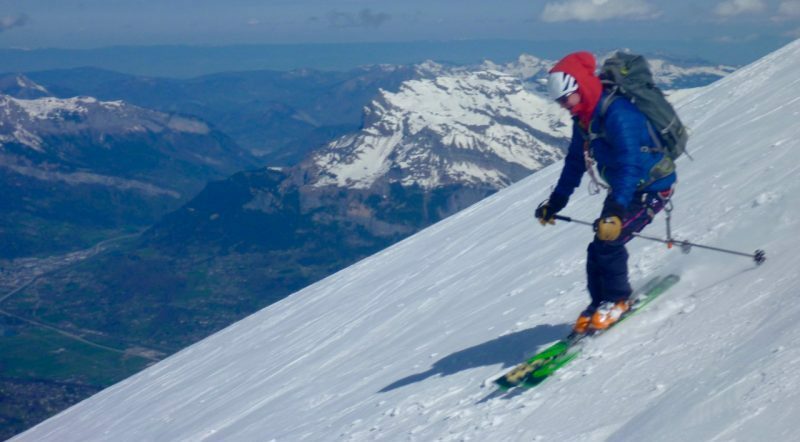 We still have 1 space available on our Chamonix Off Piste & Mountain Skills course 15-19th April, a 5 day course combining off piste coaching with a ski instructor and ski touring, avalanche training and glacier skiing with a mountain guide. 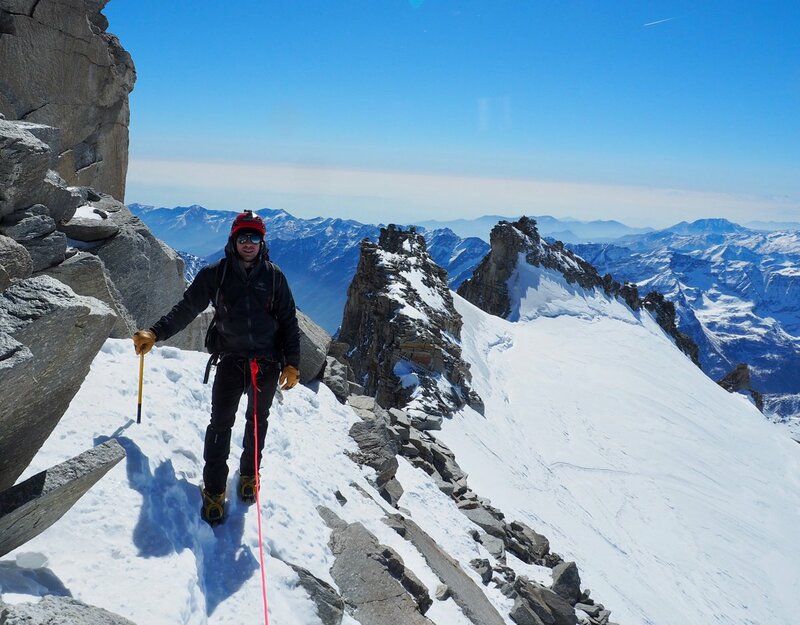 Marina enjoying the superb spring alpine conditions – for Denali Expedition Training from the Skyway Monte Bianco. 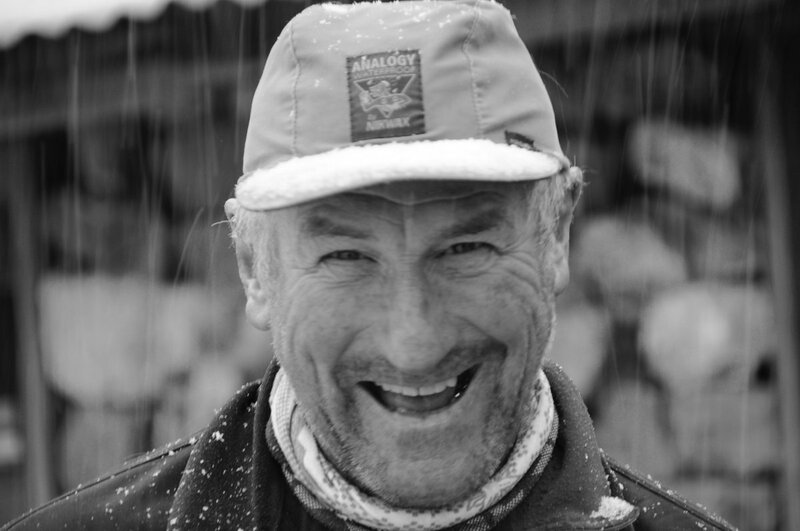 Photo Robin Beadle.